If you are ordering large quantities of stickers, NextDayFlyers roll stickers offer a convenient, easy-to-dispense format. Sticker rolls make dispensing fast and convenient, perfect for a wide variety of repetitive applications. Print a roll of stickers with your choice of clear, glossy, or uncoated stocks and four different standard shapes in full color. Use clear stock on applications where you want to show off a transparent surface underneath, such as on glass or clear plastic. Uncoated stocks are great for brands that need to suggest an understated luxury feel, or simply want the design to stand out more in direct lighting. Glossy stocks are a good material for colors that really pop. To ensure all orders look great and are made to tight tolerances, we follow strict quality control standards. NextDayFlyer’s print experts work together to make sure your stickers look just as you designed them. 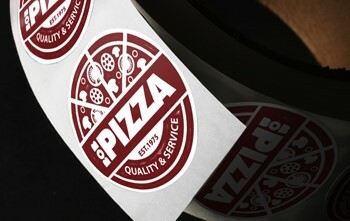 Roll sticker printing is especially popular for situations where convenience is as important as quality. They’ve been used by our customers in a wide variety of commercial and personal contexts. Use custom stickers on food containers, as quality assurance indicators, as promotional tools and giveaways, and anywhere else you need them. Roll stickers are a good choice for repetitive sticker attachment, such as in assembly lines or wherever you need to attach multiple stickers of the same design quickly and easily.